Rijnsburg, The Netherlands — Dutch design company Jora Vision is celebrating the third Thea award-winning project it has been involved in. French theme park Futuroscope’s dark ride ‘The Time Machine’, which features video game characters the Raving Rabbids, received a Thea Award for Outstanding Achievement at the Themed Entertainment Association’s 21st annual awards ceremony. Jora Vision was involved in the design, engineering and construction of the dark ride, working in collaboration with sister companies Jora Entertainment and Jora Graphics and other Dutch organisations. The ride takes visitors on a journey through time with Ubisoft’s Raving Rabbids characters, combining 5D technology with offbeat humour. 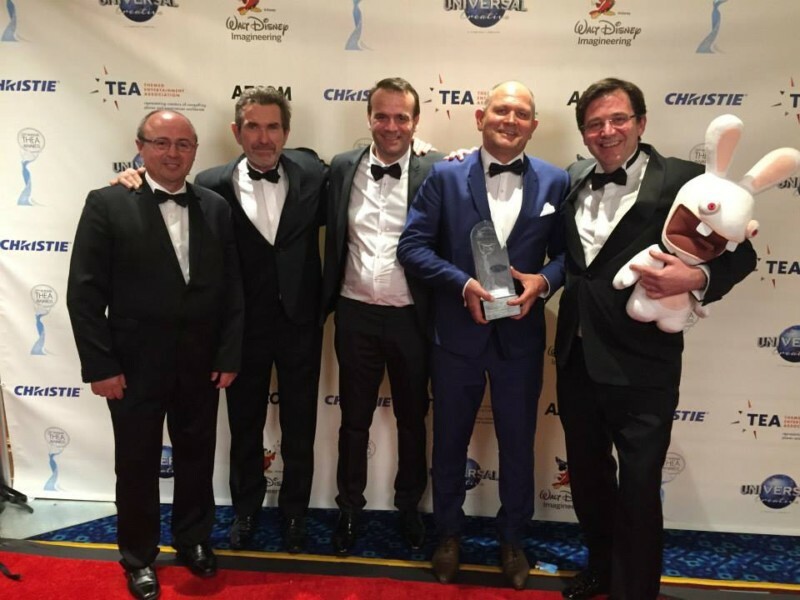 The two previous Thea award-winning projects Jora Vision was involved in were ‘The Forgotten Mine’ adventure minigolf in Belgium and ‘Arthur, l’Aventure 4D’, also at Futuroscope. This year’s Thea Awards were held in Anaheim, California, on March 21.